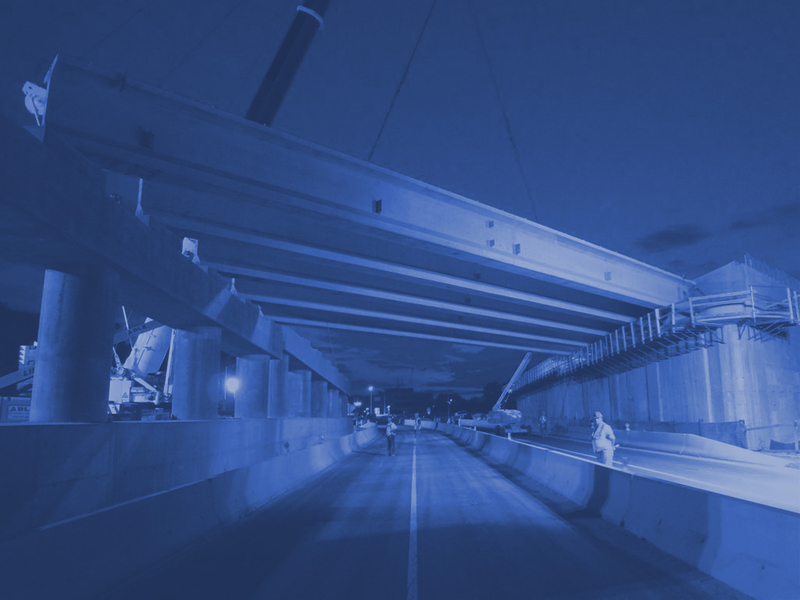 JED Engineering was retained as a sub consultant to provide resident engineering inspection for this major infrastructure project. 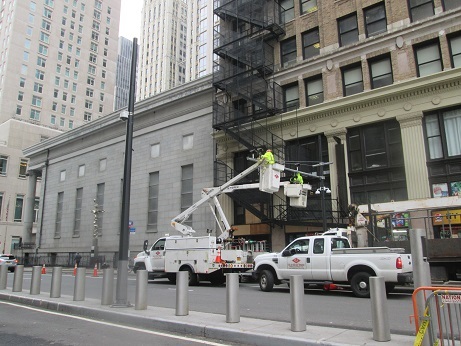 The Department of Design and Construction of the City of New York in conjunction with the New York City Police Department and the Port Authority of New York and New Jersey worked to install and deploy the World Trade Center Campus Security plan. 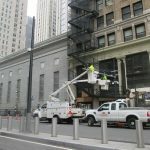 The scope of this project was to deploy secure vehicle entry and exit points to and from the World Trade Center Campus. This work involved the rehabilitation of the city utilities (water main, sewer, catch basins, street lighting, roadway restoration, sidewalk and curb restoration, etc.) in and around the security zones as well as relocating private and public utilities to facilitate the installation of new security features. Security features included bollards, vehicle scales, vehicle arrest devices, security booths, and CCTV cameras.